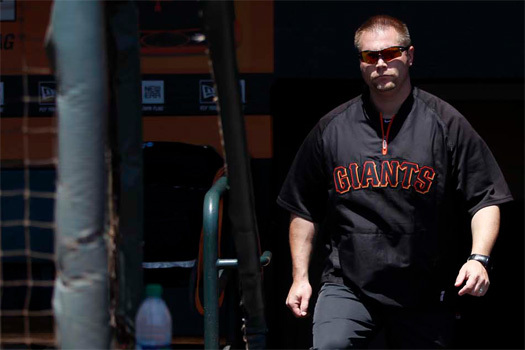 The MLB (Major League Baseball) Defending World Champion San Francisco Giants, with a strong emphasis on nutrition and hydration, turn to The Right Stuff® when players need an electrolyte boost, says Carl Kochan, the team’s head Strength and Conditioning coach. The World Champions, who adopted the NASA-developed product, as an important part of their hydration program more than two years ago, consumed as much of The Right Stuff in this year’s Spring Training as all last year’s regular season as players became more familiar with its benefits. “Hydration is a huge component of performance as well as recovery,” Kochan says. In addition to the challenges of practice and games, the Giants need regular hydration for their long flights to East Coast and Midwest opponents. They are among the most-traveled MLB team, and hours in dry airplane air require regular moisture replenishment. Players can turn to The Right Stuff before, during, and after the practice or game for that extra boost. Sweaty destinations, especially during the summer months, also can remove more water and nutrients than players restore with ordinary eating and drinking. Players can turn to The Right Stuff before, during, and after practice or games for that extra boost. The product is available to the whole team, and individuals choose when to use it. 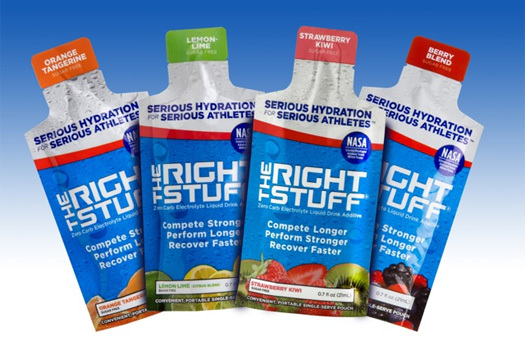 As part of a comprehensive nutrition and hydration program, The Right Stuff helps players feel well-prepared for play rather than sluggish and lethargic, Kochan says. Kevin Ziegler knows fire and ice. Ziegler is a member of Minnesota Task Force 1 in the Minneapolis Fire Department, which he joined 14 years ago. He is also a Strength and Conditioning Coach for hockey players, a childhood interest that led to his role as Global Director of Sports Performance for Octagon Hockey. “I was into hockey as a young kid,” Ziegler says. “I figured out that hockey wasn’t going to pay for my education but football was.” He attended Iowa State University on a football scholarship, earning a bachelor’s degree in Physical Education and Physiology and a master’s degree in Physiology. He also holds certifications from the National Strength and Conditioning Association and the American College of Sports Medicine. Ziegler’s hockey career includes work as Strength and Conditioning Coach for the Tampa Bay Lightning and the Phoenix Coyotes of the National Hockey League and consulting with other teams, including the New York Islanders and Philadelphia Flyers. In 1990, he opened his pioneer sports training center exclusively for enhancing academic performance. Clients have won World Championships, World Series Championships, National Championships, and the Stanley Cup. Although he has received offers to coach NHL teams, Ziegler remained committed to his native Minnesota and his firefighter work for Minneapolis. He was directing strength and conditioning for a hockey team of 16- to 20-year-olds when a nutritionist friend introduced him to The Right Stuff®. Now he recommends it to hockey players and keeps it on hand for his firefighting job. Our recovery for our team was much faster for the players that were using The Right Stuff than for the players that weren’t using it. 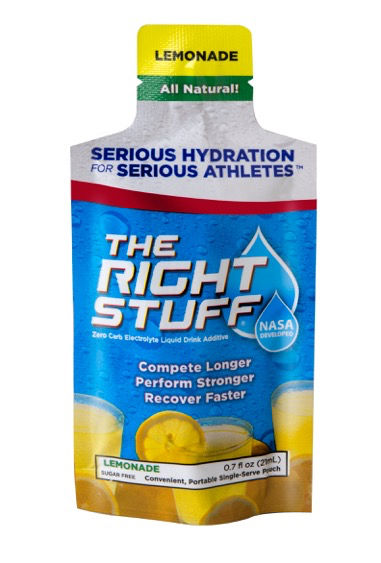 In addition to the benefits during workouts and games, Ziegler notes, The Right Stuff eases the dehydration of air travel that contributes to jet lag for teams flying cross-country.